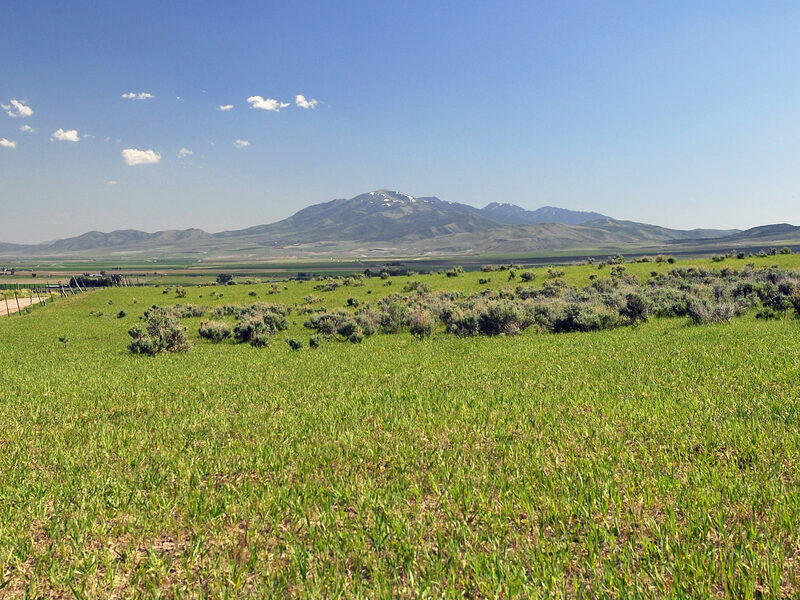 Conveniently located two hours from Salt Lake City, Utah and within 30 minutes of Pocatello, Idaho, this 1,483 acre Ranch includes about 270 acres of irrigated crop land, 34 acres of irrigated pasture and about 255 acres of sub-irrigated pasture. 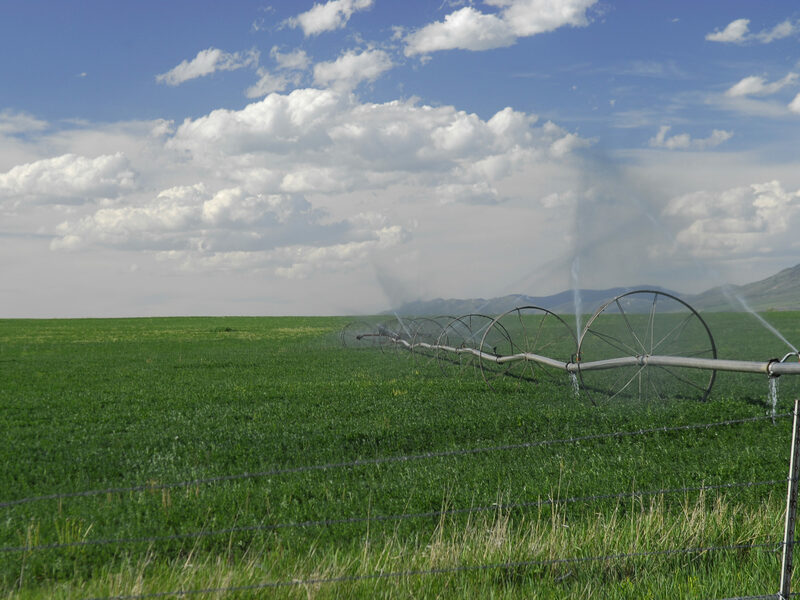 Historically, the alfalfa production has been a reliable 4 tons to the acre. 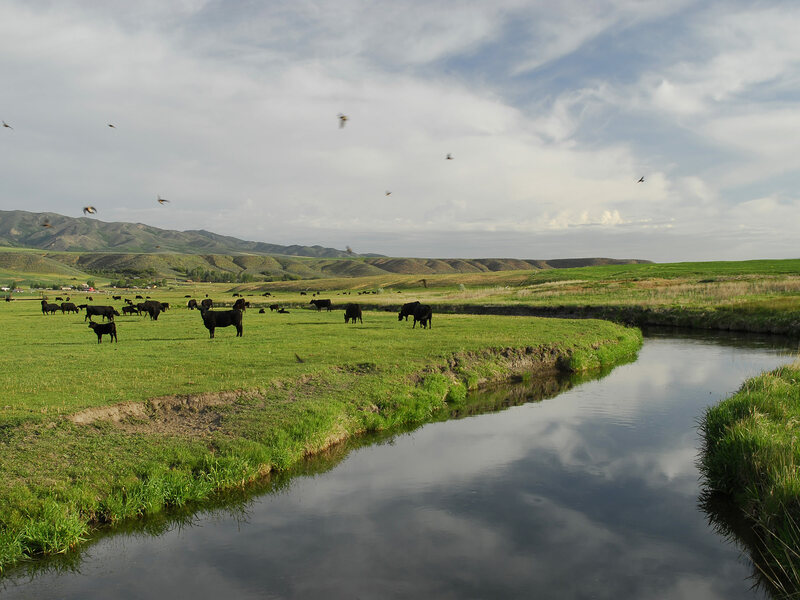 The Ranch is aesthetically pleasing with one mile of Marsh Creek running through the core and the Caribou National Forest adjacent to the Ranch’s spring pasture. 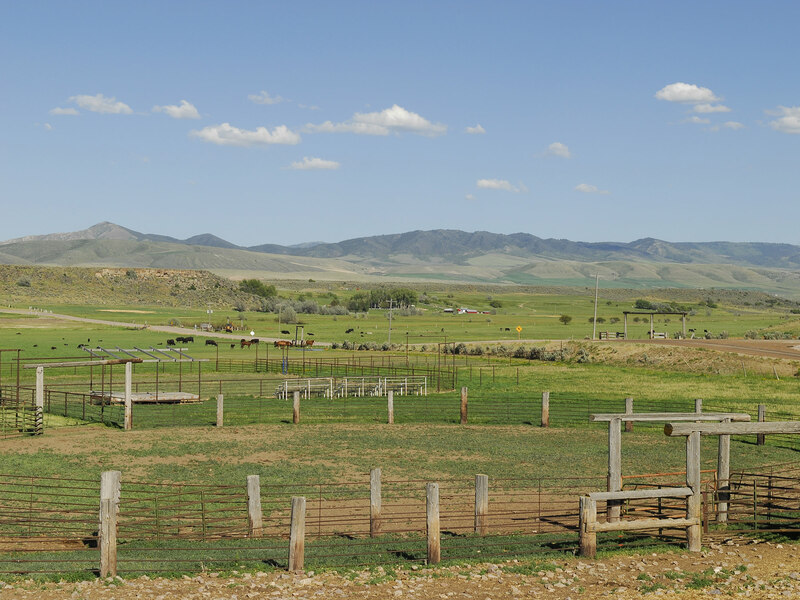 The Ranch currently supports 250 cattle and about 20 horses, and includes a modern well-maintained home, indoor arena and well-designed cattle handling facilities. 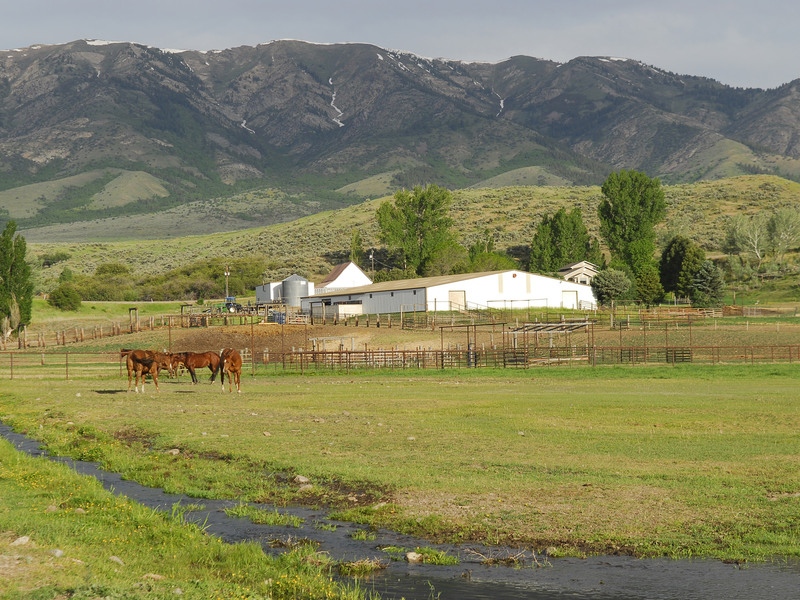 Little Creek Ranch may be purchased inclusive of the livestock and farming equipment. However these items would be available via a separate sale. This pastoral valley is about 30 miles long and varies in width from 5 to 20 miles wide. Interstate 15 runs down the middle of the Valley with exits for each of the small towns in the Valley beginning with McCammon on the north end of the Valley, Virginia and Arimo in the center and Downey on the south end. Each of these small towns has an elementary school with one high school and middle school serving the whole valley centrally located in the town of Arimo. Marsh Creek originates near Oxford, flows north through the Marsh Valley and joins the Portneuf River just north of McCammon. The Portneuf River continues north and joins the Snake River northeast of Pocatello. A tributary of the Snake River, the 124-mile-long Portneuf is utilized not only as a water source but also for recreational pursuits such as kayaking and fly fishing for rainbows and the occasional brown trout. 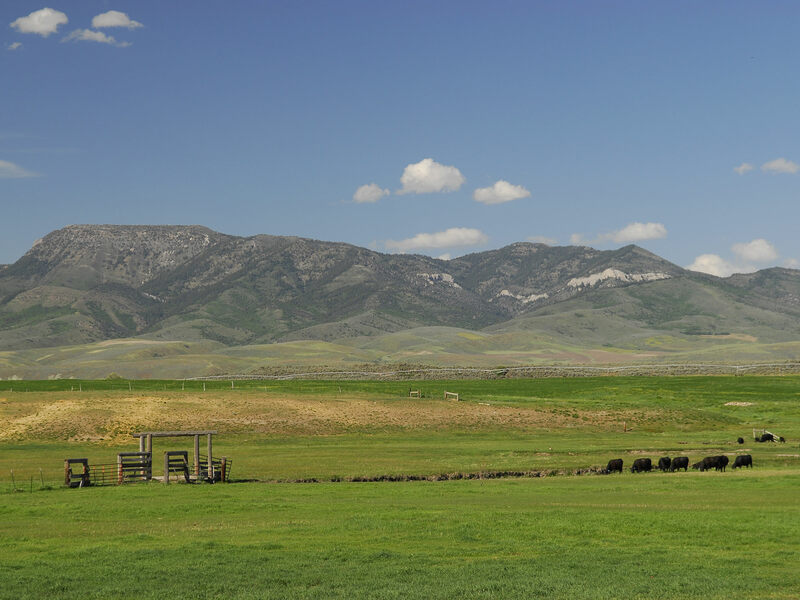 Less than 30 minutes from the Ranch, Pocatello, known as the “Gateway to the Northwest,” offers access to cutting-edge telecommunications services and is home to many high technology companies. It has been recognized by Forbes for the past six years as a “Best Small Place for Business”, ranked as one of the top ten small places to move and raise a family according to Primary Relocation and World ERC, and ranked by AARP as one of the top cities in the U.S. to retire. Most recently Pocatello was ranked 2nd on Forbes Cost of Doing Business index. The year-round world class hot pools and aquatic center provide recreation and entertainment. The odor-free, natural hot mineral water of the geothermal hot springs ranges from 102˚ to 112˚. The Park also contains waterslides, an Olympic Swimming Complex and a 10-meter diving platform. There are four distinct seasons at the Ranch with January low temperatures averaging about 15°F and highs in July around 88°F. Average annual precipitation is 16 inches per year. The Ranch’s Headquarters sit at an elevation of about 4,650 feet. 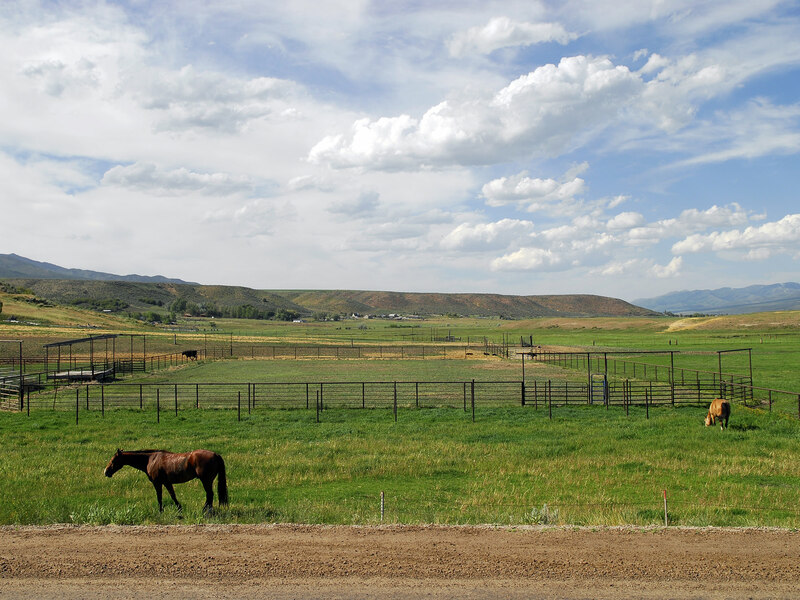 Elevations on the Ranch range from approximately 4,630 feet to 5,650 feet. The Pocatello Cattlemen’s Association consists of five Ranchers who run a total of 1,203 cattle on the Caribou National Forest. 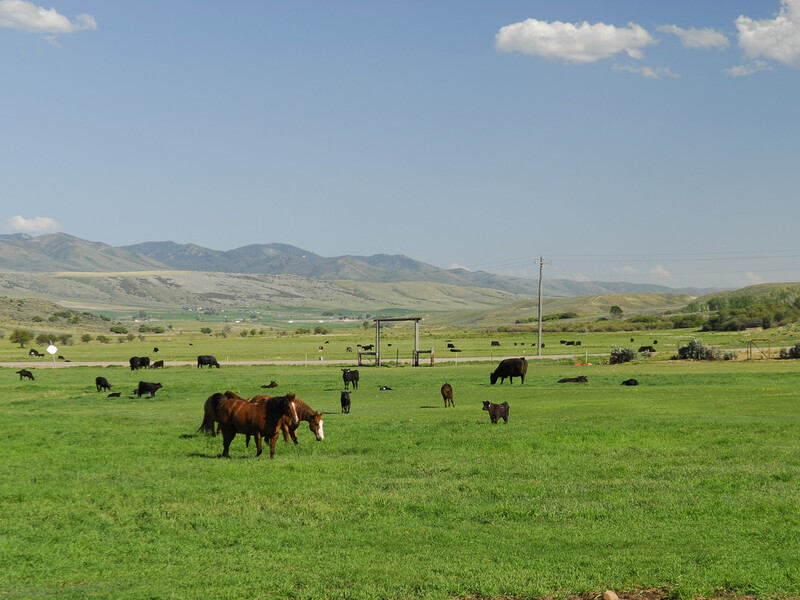 As a member of the Association, and holder of associated BLM and Forest Grazing Permits, Larry Christensen, the Ranch Manager, has the right to annually graze 253 cow-calf pairs from June 1st to October 10th on a combination of Forest, BLM and State land. Mr. Christensen will cooperate fully in transferring the permits to the Buyer. Cattle are trailed onto the Forest land from the Ranch’s upper pasture after spending about a week on a 150-acre BLM pasture. The estimated assessment for 2014 is $34.00 per head. 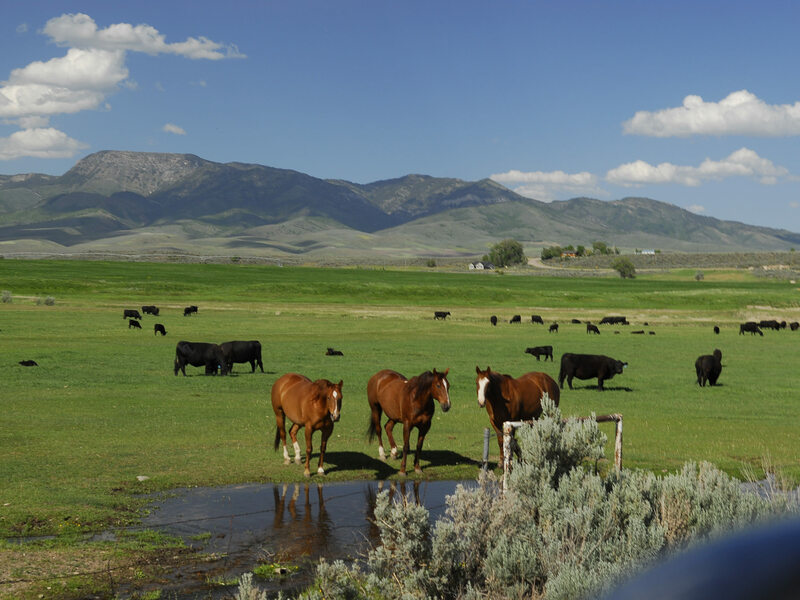 This fee covers all federal and state grazing fees, mineral and fencing expenses and a full-time range rider. For additional information please contact the President of the Association, Larry Fitch at (208)-335-2150. 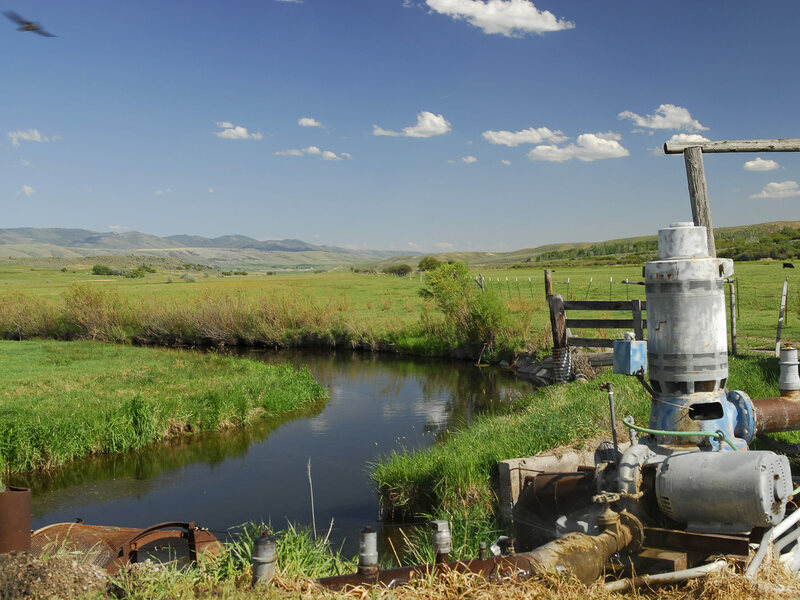 The Seller will convey with the Ranch 100% of whatever mineral, oil, gas, geo-thermal, hydro-carbon and gravel rights which they actually own, subject to reservations by previous owners. They make no representation as to the quantity or quality of any mineral or other subsurface rights appurtenant to the Ranch. Electricity is provided by Rocky Mountain Power. There are 4 electric meters on the Ranch. Telephone and internet service is provided by Century Link. Domestic water for the Ranch House and Old House is provided by ground water rights under water right numbers 29-10306 and 29-10307. The Ranch house is served by a septic sewer system and is heated with propane. The Old House utilized a wood stove for heat and has a separate septic sewer. The 2013 real estate taxes totaled $7,101.76, or about $4.79 per acre. Except for corridors along Marsh Creek Road and Henderson Road, which are zoned Residential Rural, all of the Ranch land is zoned Agricultural. Minimum lot size in the Residential Rural Zone is 5 acres. Minimum lot size in the Agriculture Zone is 40 acres. Bannock County Planning and Zoning can be reached at 208-236-7230, or visit www.co.bannock.id.us for additional information. Built in 2001, the main level of this modern and well-maintained home includes 1½ baths, a living room and a combined kitchen-dining room. The second level contains one bedroom and one bath. The basement is finished with a large family room and a bathroom. This is an older structure with considerable deferred maintenance. The single level includes a bedroom, one bath, a living room and a kitchen-dining room area. This 48' x 30' insulated steel building has a concrete floor and a concrete apron in front of the three overhead doors. The building is supplied with single phase 220 electricity and oil stove heat. The building is in good condition. 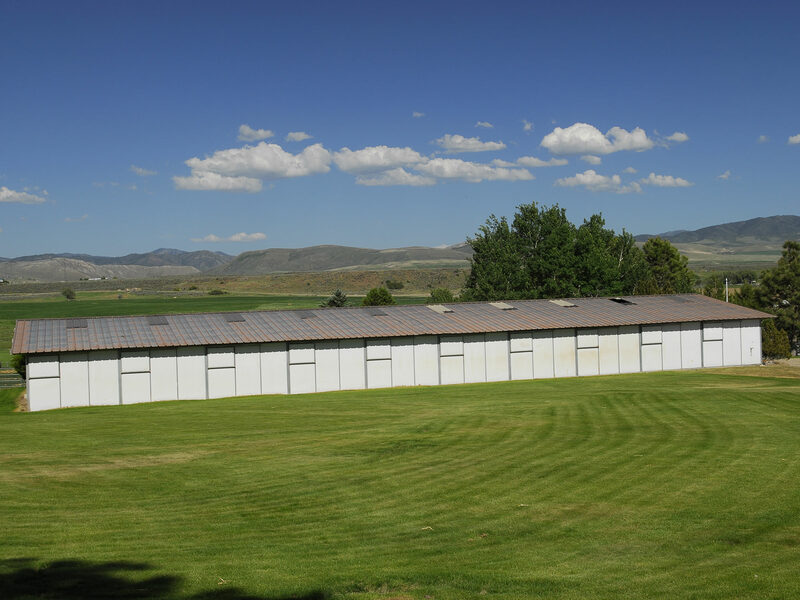 This is a 130' x 120' metal building that has been used for horse training and boarding. The arena is in the center of the building, and is surrounded by an office, tack room, stalls and an observation area. This is a 48' x 120' wood structure with 18 stalls, a storage area and a center walkway. The barn is insulated and in good condition. Prior to the Seller’s acquisition of the Property, the Ranch was operated as a dairy farm. The dairy barn dates from 1909 and was used as a milking parlor and for milk storage. It appears to be structurally sound and is now used for storage. There are two concrete-floored metal grain storage bins, each with 3,000 bushel capacity. They appear to be in good repair. The working corrals on the Ranch were built within the last year at a cost of about $20,000.00 and are constructed of welded pipe. 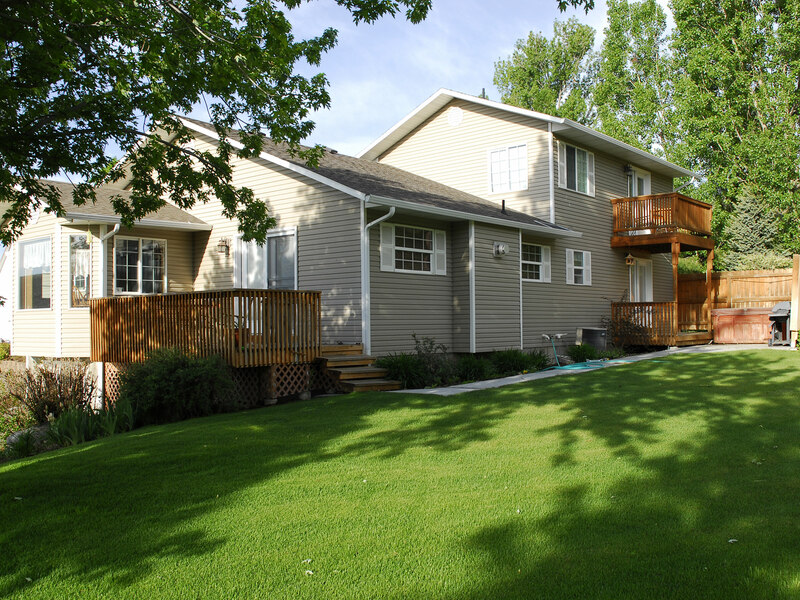 The Seller will provide and pay for a Standard Owner’s Title Insurance Policy in the full amount of the purchase price issued by Alliance Title & Escrow Corp. located in Pocatello, Idaho, and underwritten by Chicago Title Insurance Company. Any endorsements requested by the Buyer or any lender will be at Buyer’s expense. Title to the real Property will be conveyed by a deed. This entire Offering is subject to errors, omissions, prior sale, change or withdrawal without notice and approval of purchase by the Seller. Information regarding land classifications, acreages, carrying capacities, crop yields, potential profits, etc., is intended only as general guidelines and have been obtained from sources deemed reliable; however, accuracy is not warranted or guaranteed by the Seller or Swan Land Company. Prospective Buyers should independently verify all information to their sole and complete satisfaction.